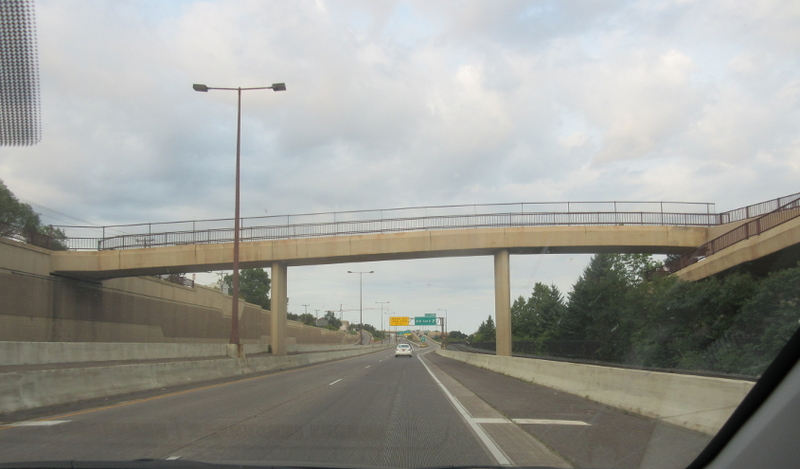 We cross the I-535 bridge to Duluth - hometown of Bob Dylan. 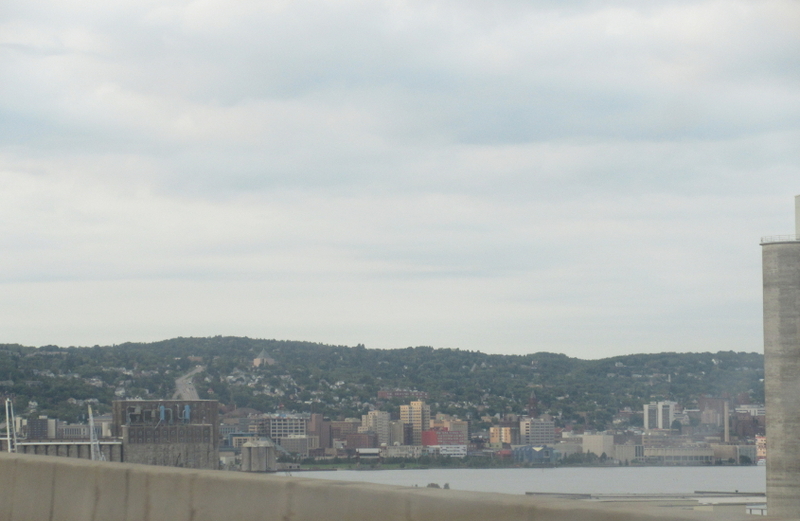 A view of Duluth from the I-535 span. 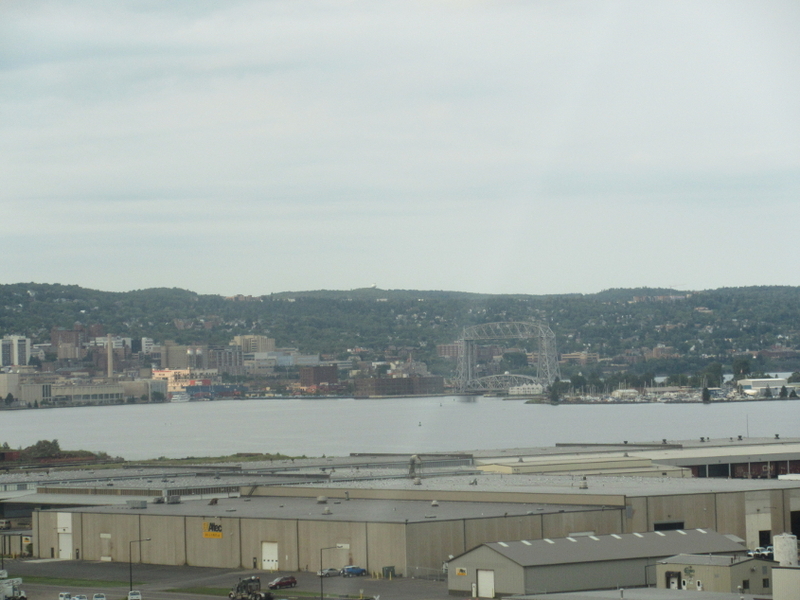 Here you can see the Aerial Lift Bridge - built in 1905 and reconstructed in 1929-30. 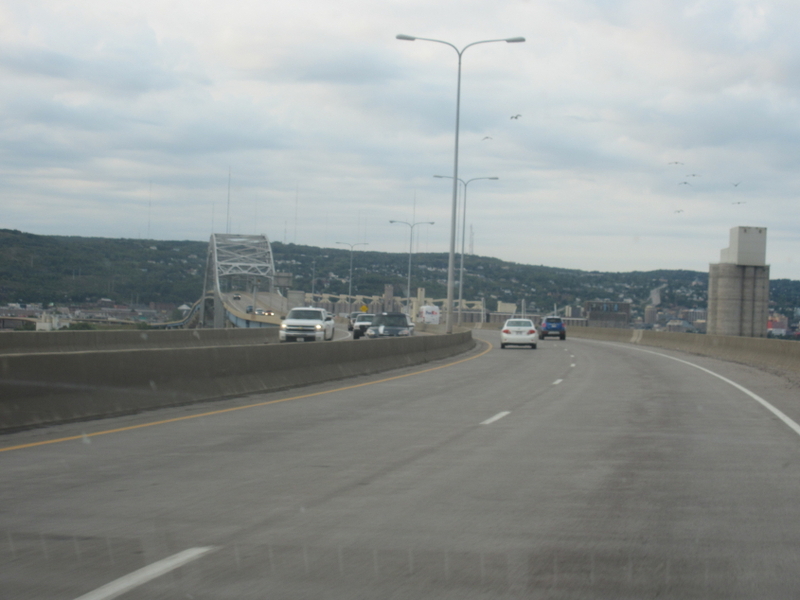 The bridge carries Lake Avenue across the Duluth Ship Canal. 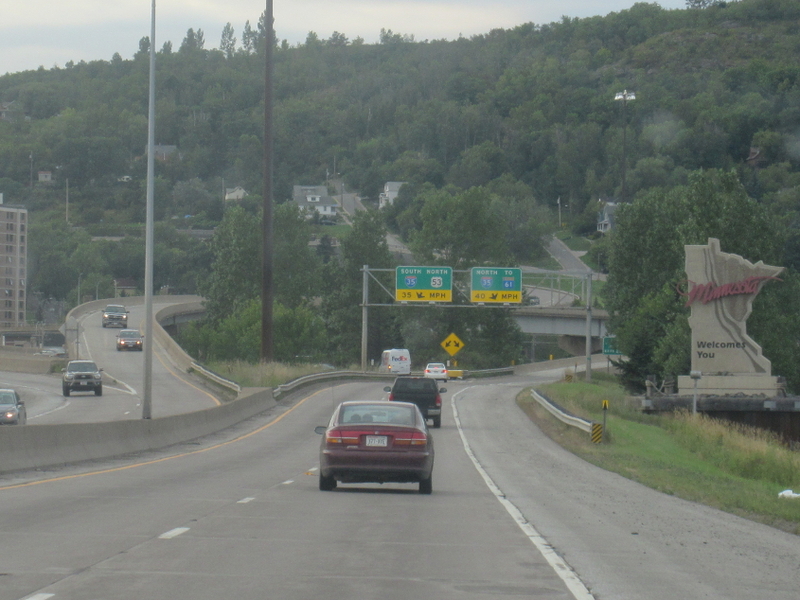 I-535 approaches its end at parent I-35. 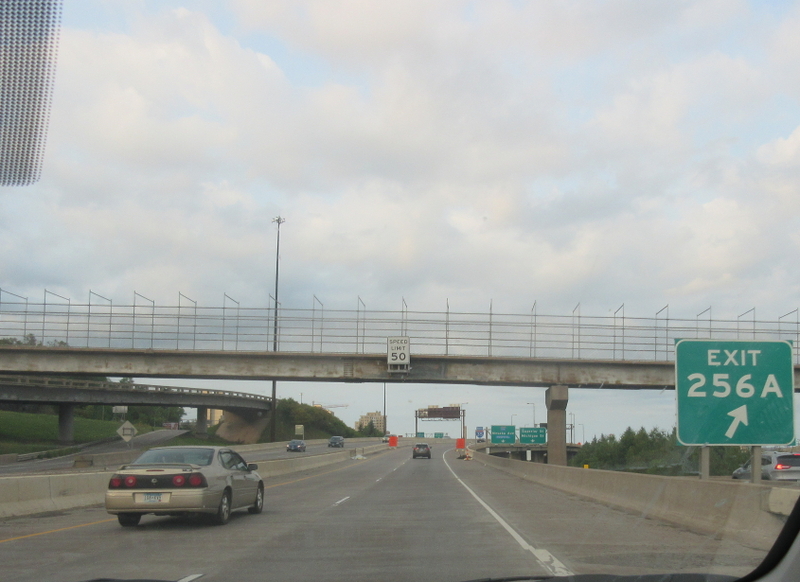 A Minnesota welcome on I-535. 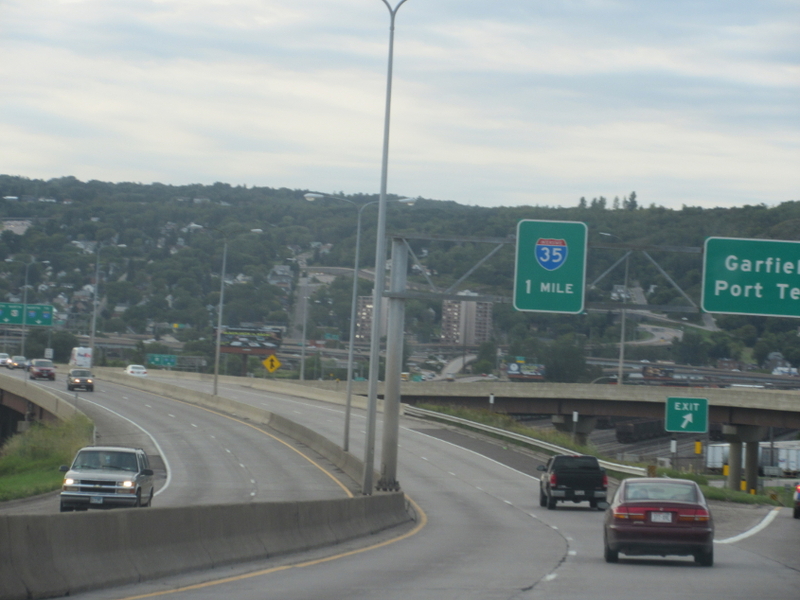 We start heading north on I-35 in Duluth. 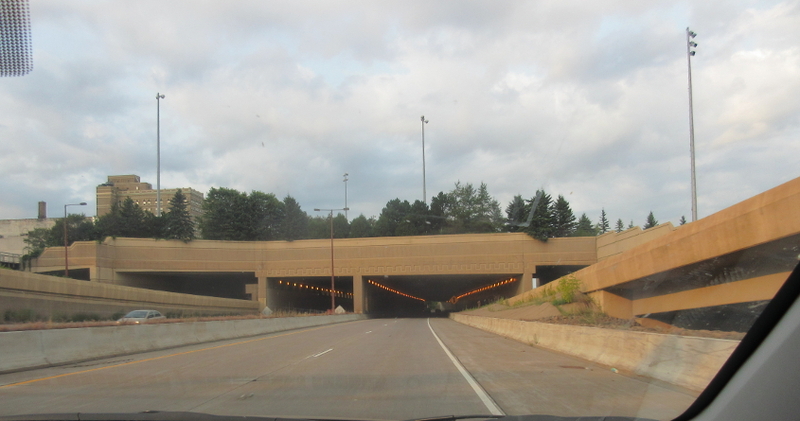 I-35 in Duluth is among the more interesting Interstates in a mid-sized city. This photo has some vague resemblances to something you'd see in a larger city like Cincinnati. 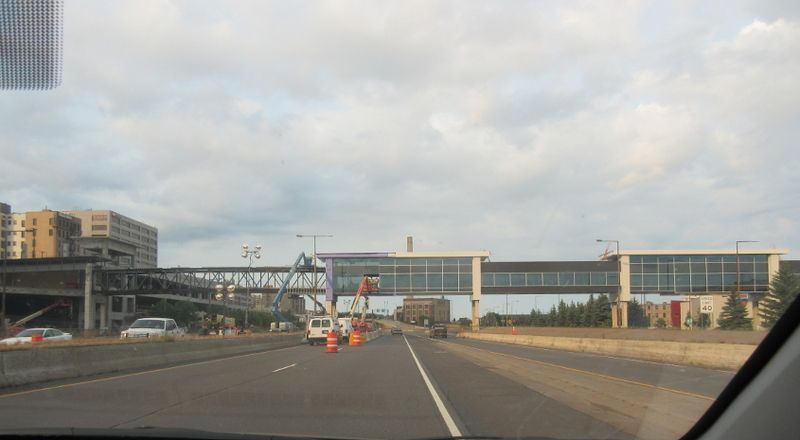 I-35 continues, with the Aerial Lift Bridge in the background. It appears here as if they're building an enclosed walkway from the central business district to the waterfront, which - in a familiar story - are separated by the freeway. 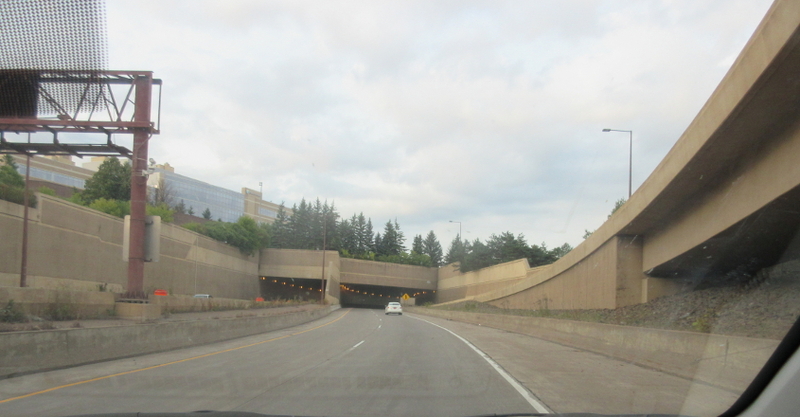 I-35 has this tunnel under a long stretch of green space. Three! 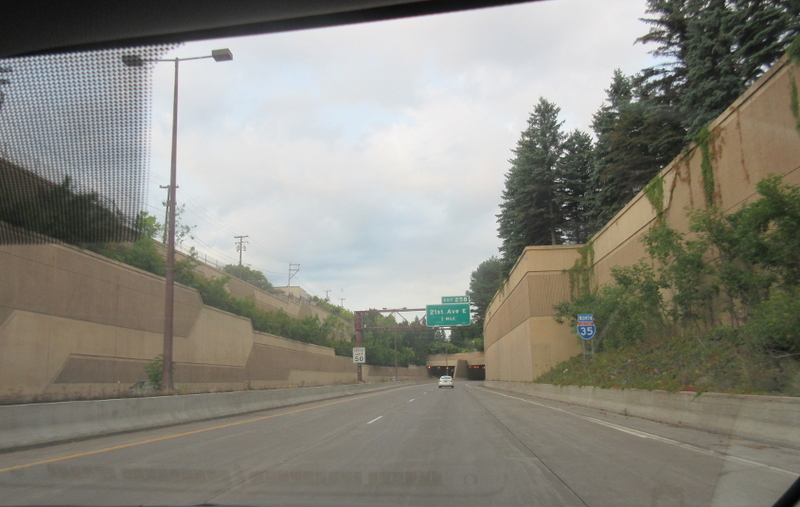 Three wonderful, amazing tunnels, ha ha ha ha! FOUR!!! 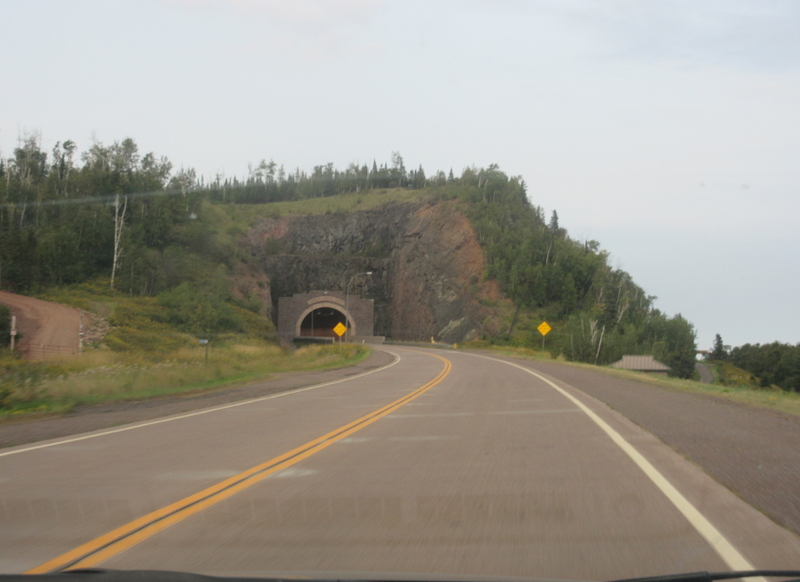 Four wonderful, amazing tunnels, ha ha ha ha ha ha ha! 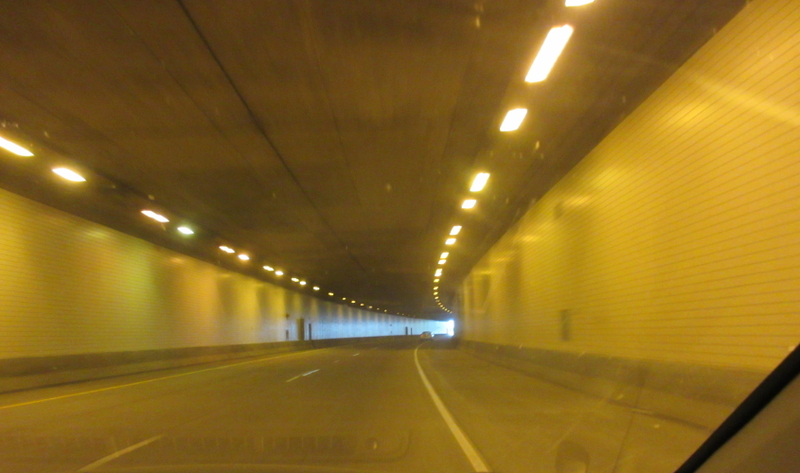 Inside the fourth I-35 tunnel. 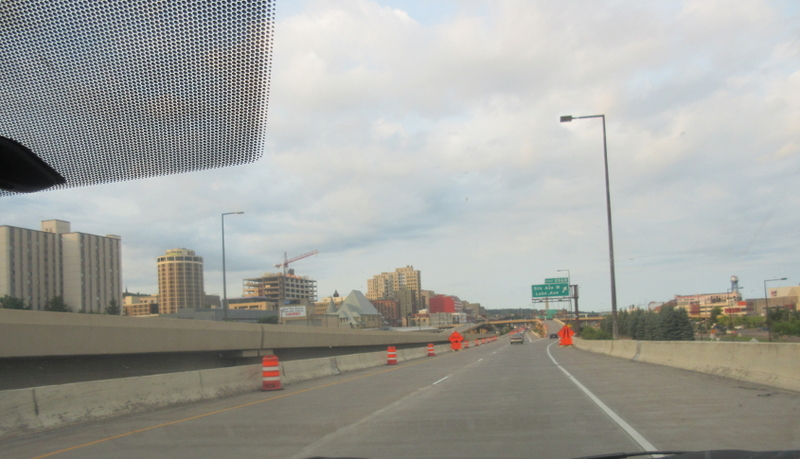 We're still in Duluth, and I-35 will end soon. Sad. I-35 will end. But it needs your help. In all, I-35 runs all the way from Laredo, TX, on the Mexican border. 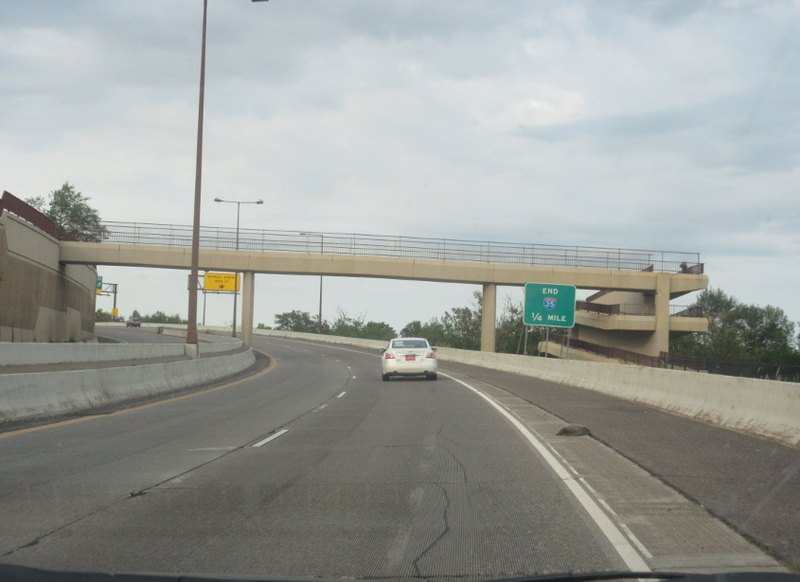 I-35 becomes MN 61 and narrows into a surface road. It was US 61 until 1991. 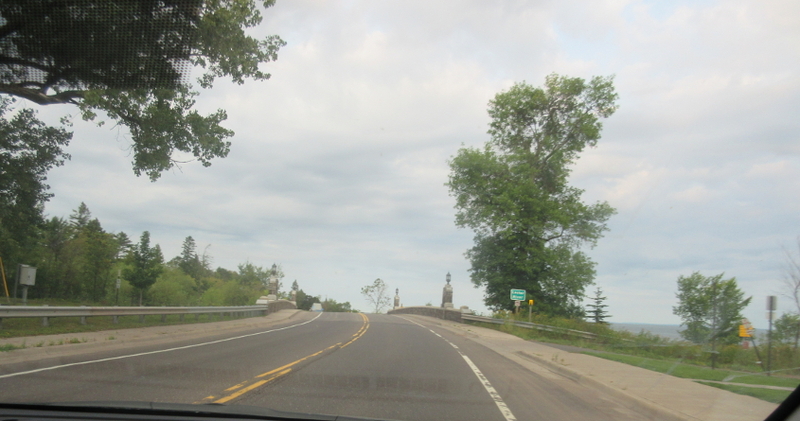 Here, MN 61 crosses the Lester River. Lake Superior is in the background. 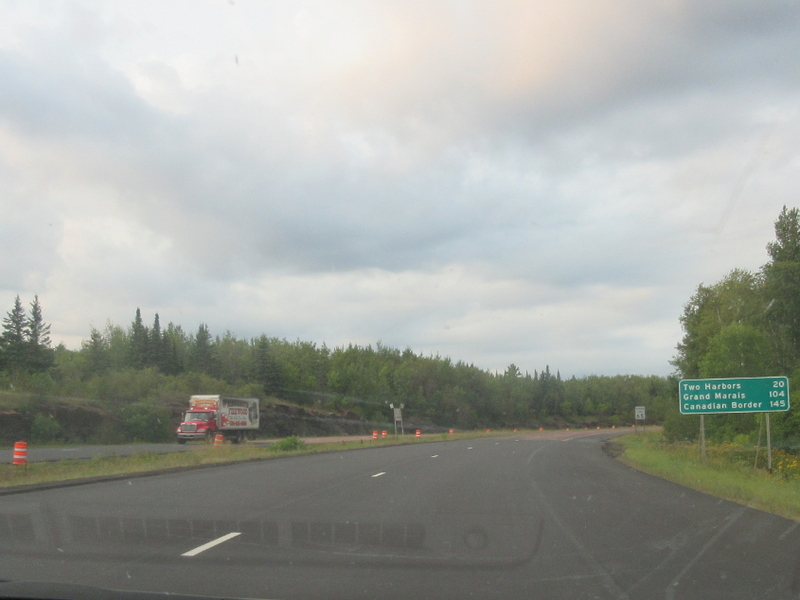 The Canadian border is actually a control point on mileage signs on MN 61! 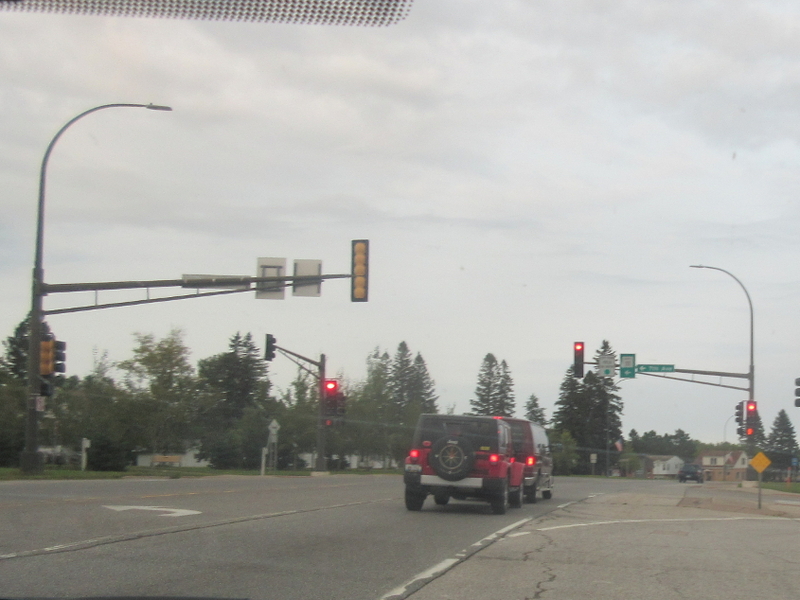 Indeedity-doodledy, MN 61 continues in Ontario as ON 61. 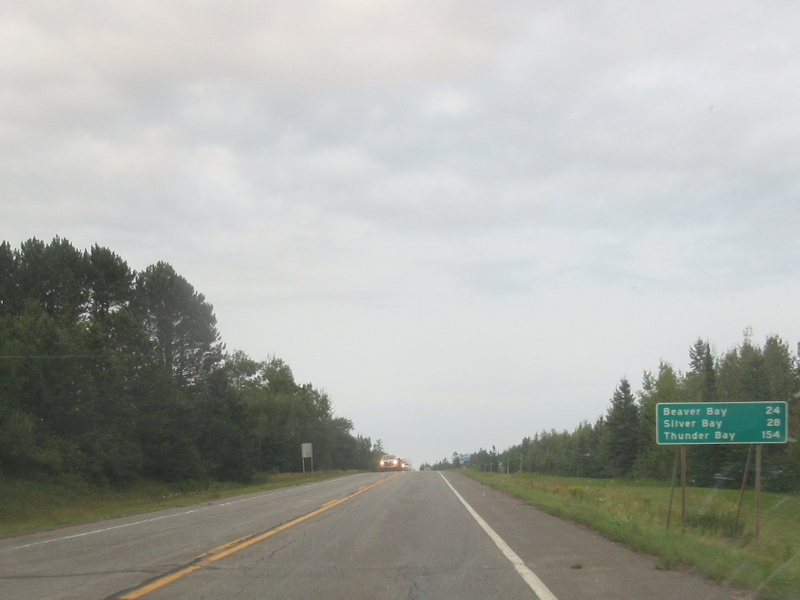 MN 61 at SEC 11 in Two Harbors, MN. This is right in front of a Holiday gas station, part of a regional chain whose logo looks strikingly similar to the red and blue stylized N used by NBC in the late 1970s when it was the lowest-ranked network. NBC spent millions developing that logo only to be sued by a Nebraska public TV network that in turn had an almost identical logo. 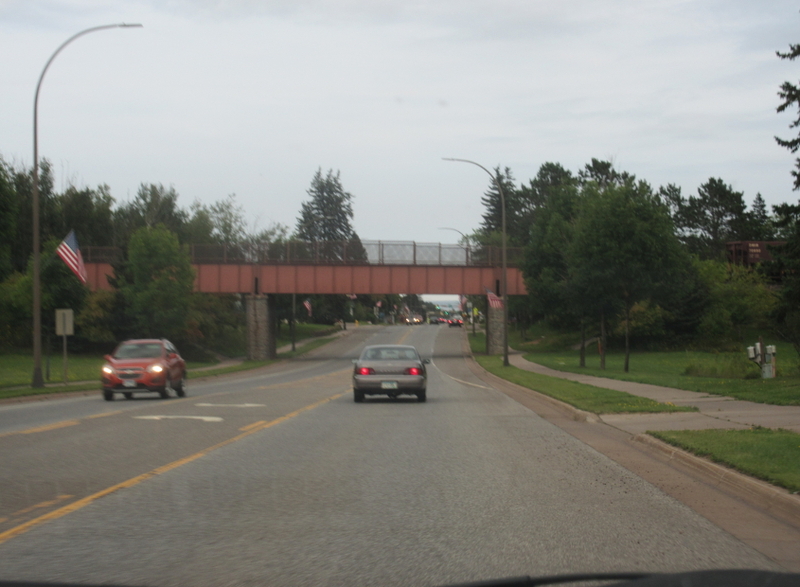 MN 61 picks up 7th Avenue in Two Harbors, and here we go under a rail bridge. 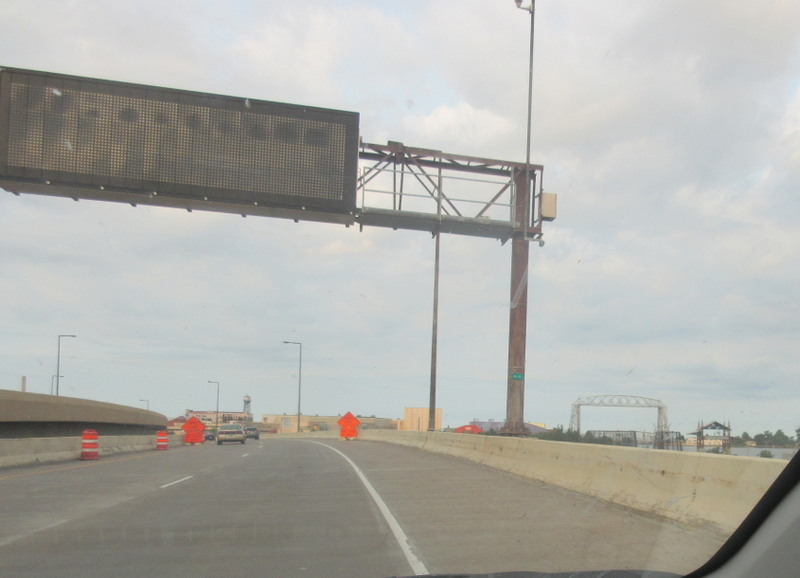 This mileage sign on MN 61 has all the upcoming cities and towns named for bays - most notably Thunder Bay. Yes, I'm talking Canada. 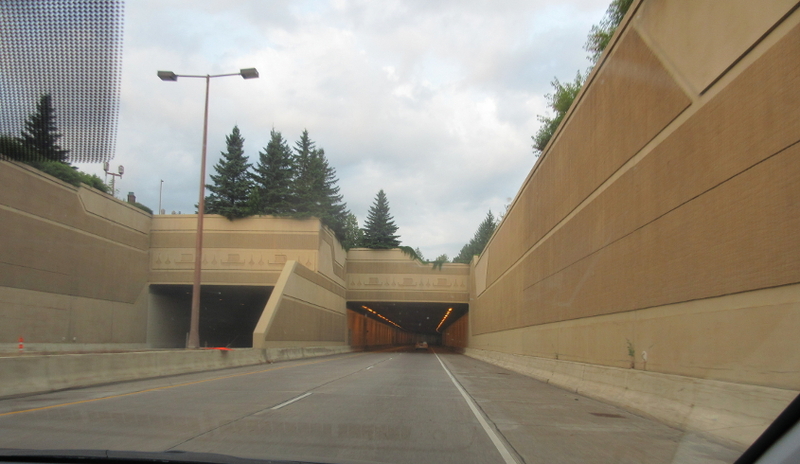 You don't expect to see this in Minnesota, but it's a land of surprises! 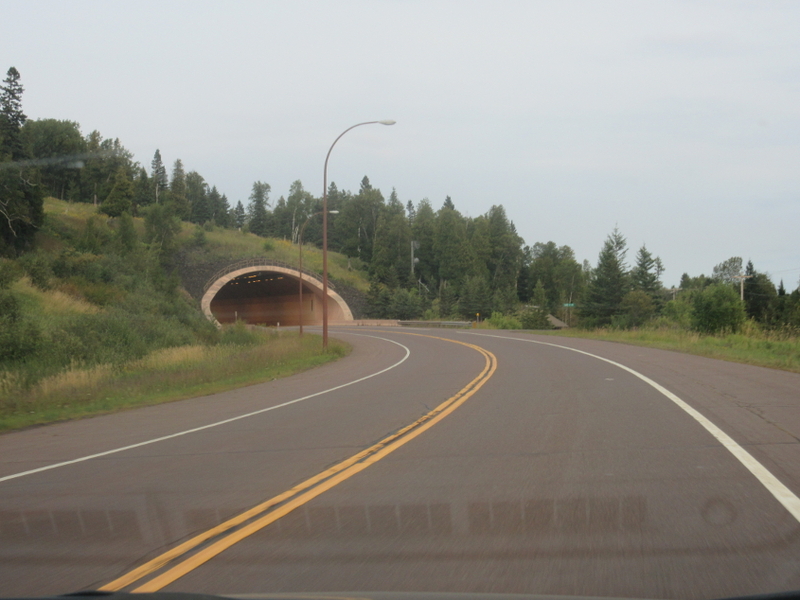 This is a tunnel on MN 61 at Silver Cliff. In the background at center right - to the right of the small Pizza Hut-shaped building - you can actually a see a brief portion of the old US 61. Another tunnel! All for me! 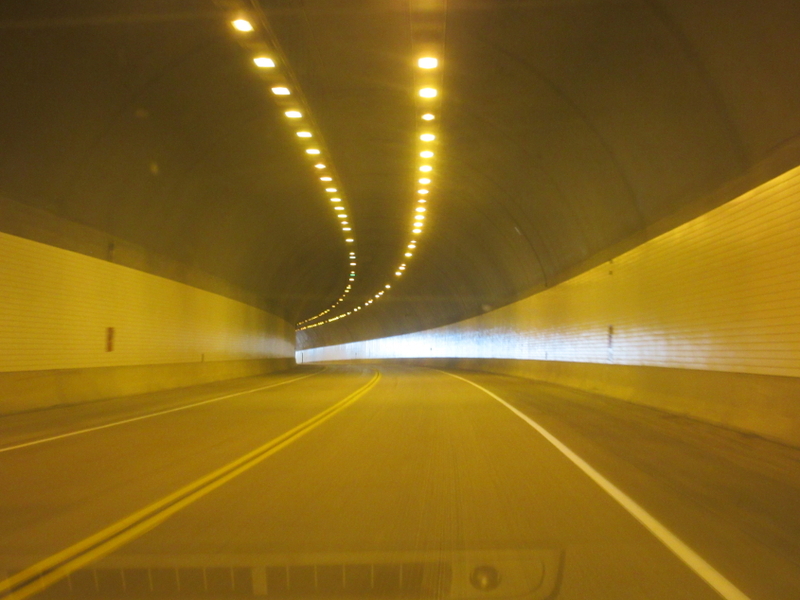 This is the tunnel at Lafayette Bluff. 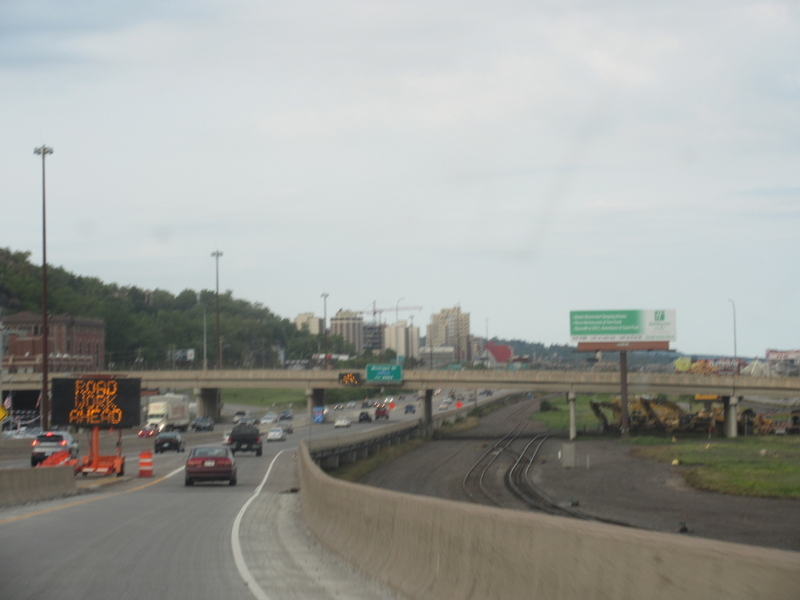 Again, you can see a small part of old US 61 at center right.